If you find yourself with a package that is too large for the regular post but not big enough to fill up an entire truck, you might wonder what you can do. Less than truckload (LTL) shipping is the perfect option for freight and packages that weigh anywhere from 151 to 15,000 pounds. This type of shipping comes with a wealth of benefits. Paying for a full trailer to ship something that only takes up a fraction of the space doesn’t make economic sense. If you do choose less than truckload shipping services, you can pool your shipment with others, and then everyone splits the cost. This is much more cost effective than paying for an entire trailer that you don’t even need. You might think that you can get that same type of pooling service if you choose a parcel carrier. While that is partially true, you need to keep in mind that you would have to split up the freight to meet the company’s package requirements. Not only is that time consuming, but it can make tracking a real headache and increase the chances of something going wrong. When you pool your packages, they will have to be handled by multiple people. That can be a nightmare with standard parcel shipping, but LTL carriers have systems in place to ensure that everything is secure for the duration of the trip. 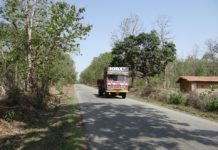 LTL companies utilize pallets and crates to protect the freight during the ride. This system also keeps the freight together, so nothing gets lost. 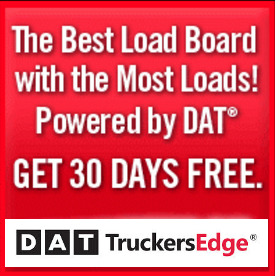 Whenever you have freight out on the road, you want to know where it is at all times. LTL shipping services include event tracking, so you know everything that goes on with your freight, from the time it’s loaded onto the truck to the time it makes it to its destination. This will give you peace of mind and also make it easy for you to line someone up to accept the delivery. The environment has been on people’s minds lately, and many businesses are stepping up and trying to do their part to reduce their carbon footprints. You can accomplish just that by using LTL shipping services. 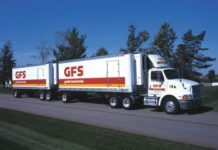 Instead of going out in a fleet of partially filled trucks, items from multiple companies and organizations go out on a single truck. That means the same amount of freight gets delivered, but fewer emissions are put out into the environment. LTL shipping goes beyond dock-to-dock services, as well. You get a lot of additional options, such as access to lift gates and inside pickup and delivery. On top of that, it is also available for non-commercial use, so you don’t have to find a different provider if you need to ship something to a residence. Less than truckload shipping services make it easier for companies and people to ship items that weigh 151 to 15,000 pounds. Affordable and efficient, it takes the headache out of shipping. Jeeni Pul is a content strategist and blogger with a great expertise in writing tips, trends and latest news about home improvement and real estate industry. You can directly contact her at Google+.